Arlen is a Boss in Immortal Unchained. Arlen is the final boss encountered in Veridian/Beagor. Quickly take out the Possessed Thicket when it appears, this causes Arlen to open up. Watch out for the charging roots that shoot straight at you, after the insides take a certain amount of damage, the tree will close up again. Insects will appear after Arlen has taken damage and start healing him, take them out quickly. Watch out for the tentacles as they alternate between swinging and slamming down on your location. Arlen will shoot projectiles on occasion, when you notice him rearing up, move out of the way. 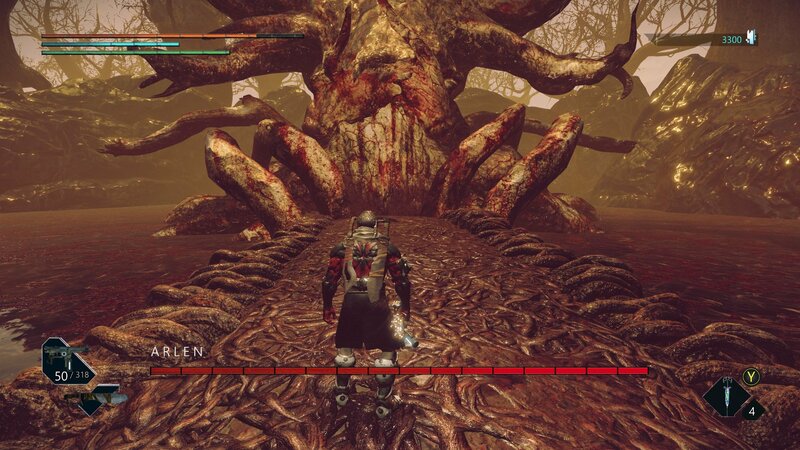 After defeating Arlen, a tougher version of this boss can be fought, Echo of Arlen. The door to this fight is on Apexion, close to the starting point.